With scenes of Netflix’s The Crown fresh in my mind it was fun to read a ‘live’ impression of the coronation of Queen Elizabeth II written in great detail by Jewel Baillie to Molly and her friend Alexa Fraser; Molly received it with the utmost excitement. Molly, our loyal, royal supporter, circulated the letter among her friends in New Zealand and it was read out to several women’s groups as well as the Johnsonville congregation. She even transcribed large chunks to be printed in the New Zealand magazine The Free Lance. Mrs Jewel Baillie, wife of Professor John Baillie of Edinburgh University and Principal of New College Edinburgh, also the Royal Chaplain, was humbled, honoured and overwhelmed to be present among 7600 others in attendance. She described the event from beginning to end and the scene within the Abbey in great detail.The planning was obviously meticulous everything timed to perfection. Jewel mentions that where she was seated she could to see clearly the faces of all those who processed by. The Baillie’s left their accommodation at 5am to be at Westminster Abbey and seated by 6am. Prof John Baillie however, had to wait patiently in the Annex for up to 4 hours, as he was part of the Queen’s procession. During the long 4-hour wait until the coronation ceremony began there was never a dull moment for Jewel, as significant personages arrived in their ‘brilliant uniforms or picturesque attire – a most vivid scene and ever-moving kaleidoscope of colour and beauty’. The descriptions of each party who entered provided her with plenty to write about. The Officers who showed them to their seats from various ‘services in full dress uniform complete with swords, gold braid, epaulettes, rows of medals and white kid gloves’. Crown Princes, Sultans, Prime Ministers, representatives from 50 States, ‘and Queen Salote looking very smart…’. Then there were clergy and choristers, the orchestra and trumpeters, and the Westminster Scholars who sang ‘Viva’ as the Queen entered, all described in detail. Jewel Baillie had ample time to absorb the interior of the chapel, greatly altered for the occasion, with additional tiers of scaffolding ‘against ever spare available wall space, draped in grey cloth bordered with blue, the temporary staircases carpeted in the same colour and blue borders’. The guests’ chairs also upholstered in blue velvet with the cipher QEII in the corner. The spare wall space was draped ‘with lovely blue cloth brocaded in gold with lions, the Tudor rose, mitres, fleur-de-les and other heraldic devices’. ‘The rich sky-blue and gold furnishings provided a superb backdrop for the scarlet and gold of the uniforms, the red velvet of the Peeresses trains’ that trailed yards behind them’. The one disadvantage of all this grand beauty was it dulled the sound and the 500 strong choir sounded no more than 50. The chairs, she noted, were for sale and the guests could purchase one, but Jewel Baillie felt her money would be better spent elsewhere. Amongst all the glamour and pomp Jewel and John Baillie surreptitiously ‘munched their sandwiches and sipped their sherry’, which they were advised to take. Jewel does not go into detail as to when they partook of this ‘bread and wine’, which appears somewhat symbolic, but no doubt all those attending needed some sustenance during their 7-hour experience. She also notes the several small stumbles that were actually portrayed in the Crown episode. The Duke of Edinburgh knocked the Queen’s crown when he kissed her after paying homage to her, and that he forgot the words ‘Duke of Edinburgh’ in his vow of homage. Jewel was bemused when the ‘Peers and Peeresses popped on their coronets – it savoured so much of Gilbert and Sullivan’s Iolanthe’. In all it was an occasion never to be forgotten and Molly was able to reciprocate with her detailed correspondence of the Queen’s tour of New Zealand. In the days that followed, Scotland had its share of Coronation celebrations, which Jewel Baillie gave equally descriptive detail.. 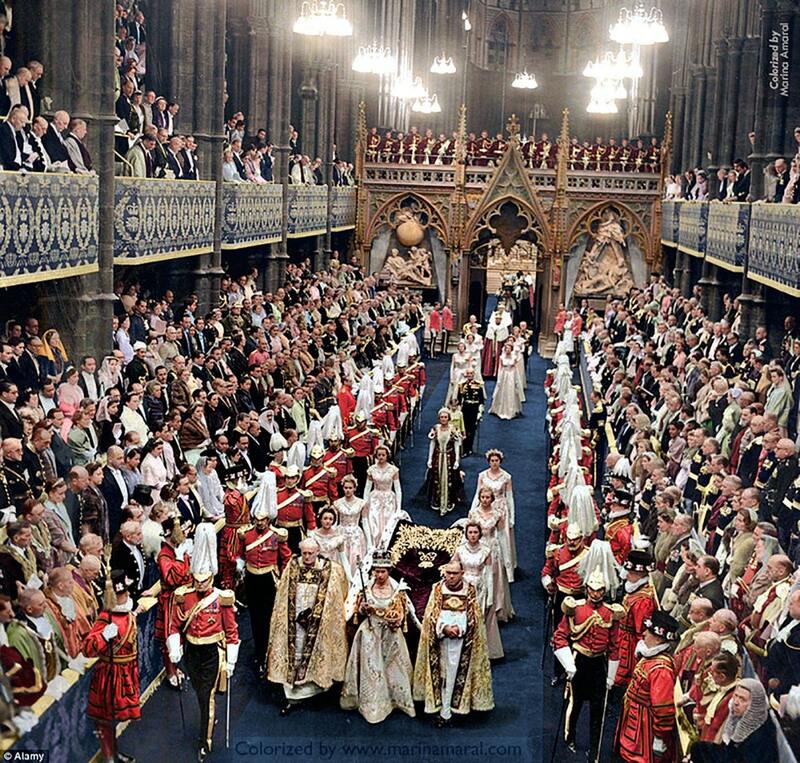 Reflecting back to the Nexflix’s production, I can’t help but marvel at the superb reproduction of the entire Coronation scene, hardly a detail missing! 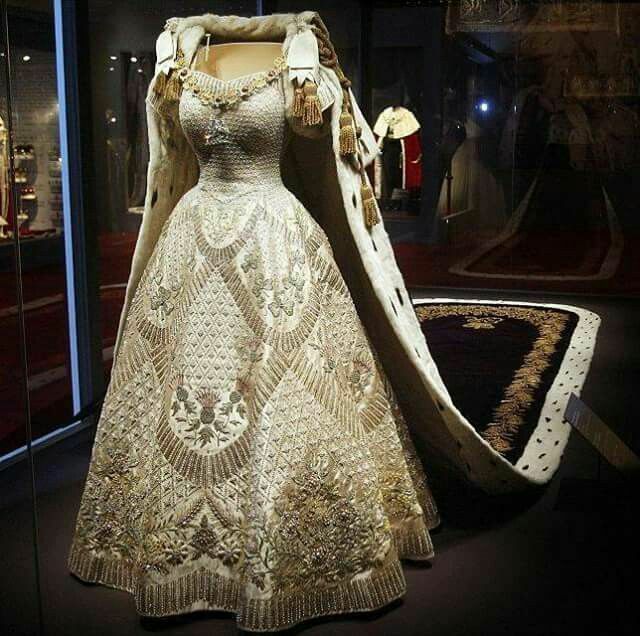 The reproduction of the exquisite Coronation Gown and the vast attire is an amazing feat by the producers. « In the Footsteps of the Shannon family, Morere Northern Hawkes Bay.